When you combine innovation with the best possible design, you create something iconic. 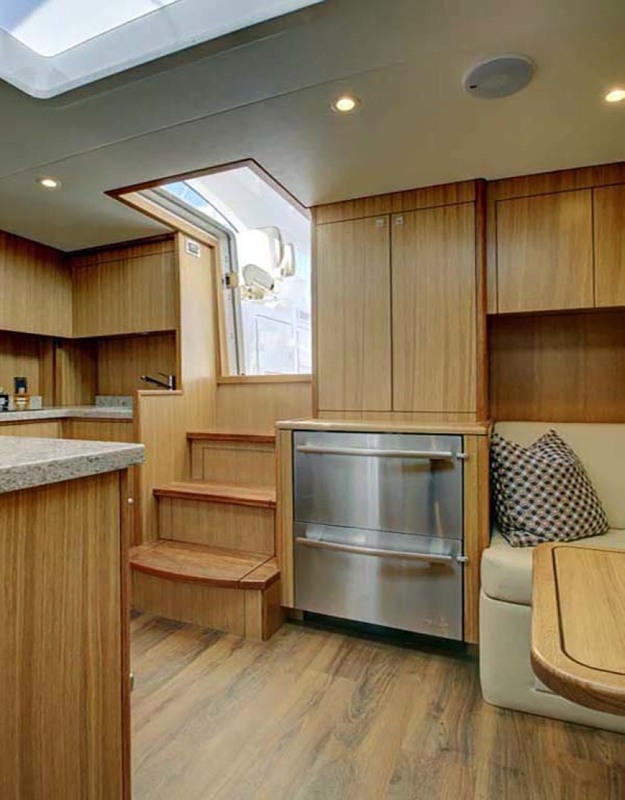 The New Hatteras 45 Express Series features versatility, cutting-edge technology and legendary Hatteras performance, carried out with meticulous craftsmanship. Two distinct configurations, style options and features make this series extremely versatile for the expert angler and inspired traveler alike. 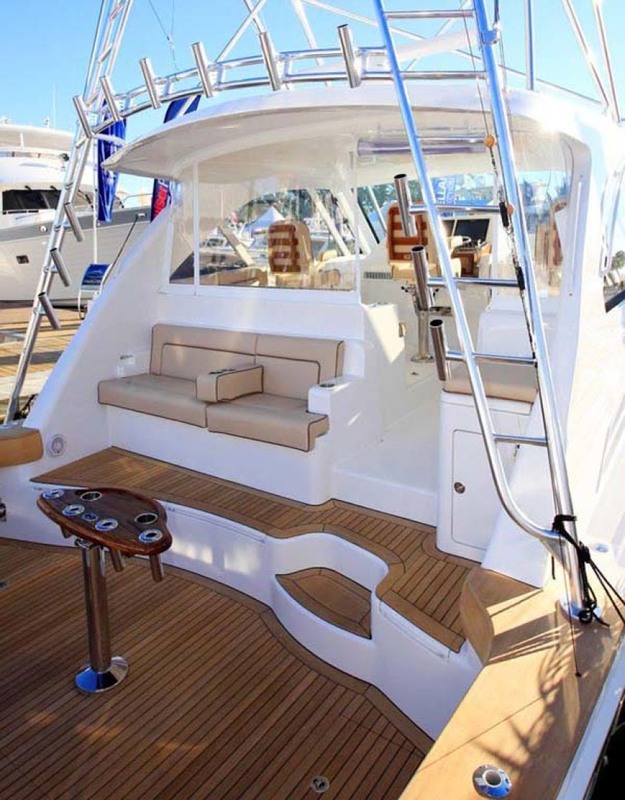 Choose from the Sportfish version with a full tower, outriggers and an arsenal of fishing amenities, or choose the Cruiser version with a low-profile exterior, spacious cockpit, swim platform and bow pulpit, and a luxury yacht finish. 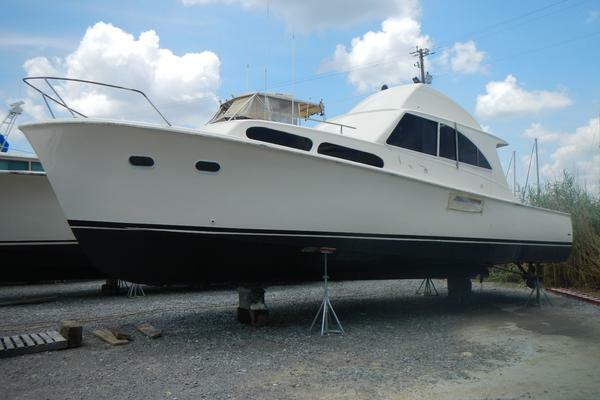 With the 45 Express Series, Hatteras has turned a dream into reality. But not just any dream. Your dream. 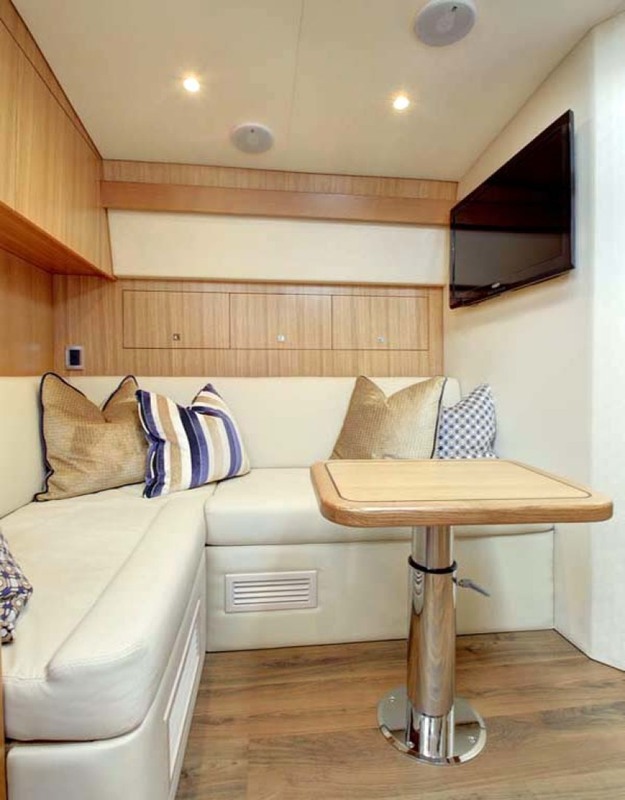 Creature comforts include a home theater system with 32-inch TV, dinette seating with functional storage underneath, and warm accents and furnishings. 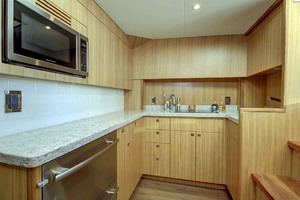 The galley offers quartz countertops, a ceramic cooktop, finished wood cabinets and under-counter lighting. 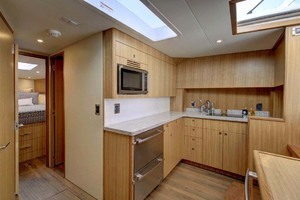 Your guests will appreciate the open and bright feel of the main cabin and galley. After a day of play, relax and unwind in the forward stateroom. Think of it as your after-hours oasis, featuring a stereo, 20-inch TV and DVD player. 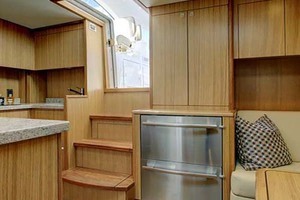 Private access to a head compartment with quartz countertop and backsplash, and expertly finished wood cabinets. No one does fishing better than Hatteras. 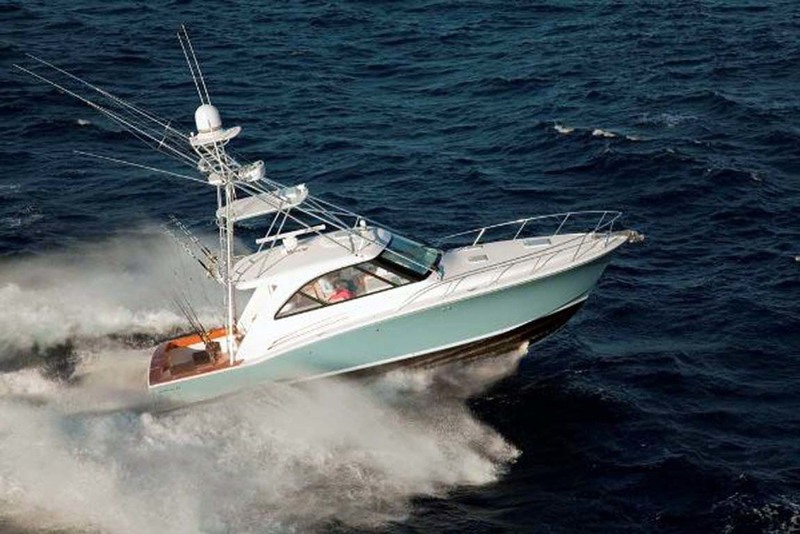 The 45EX Sportfish boasts Palm Beach style single-level controls, two in-deck fish boxes, a bait tank, rod holders and a mounting plate for a fighting chair. 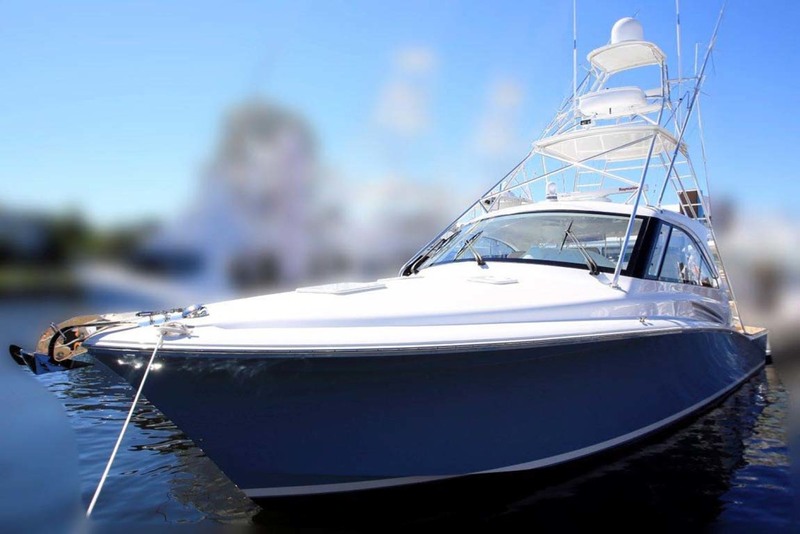 Take your catch from sea to table in minutes using an electric grill built into the starboard bait and tackle center. 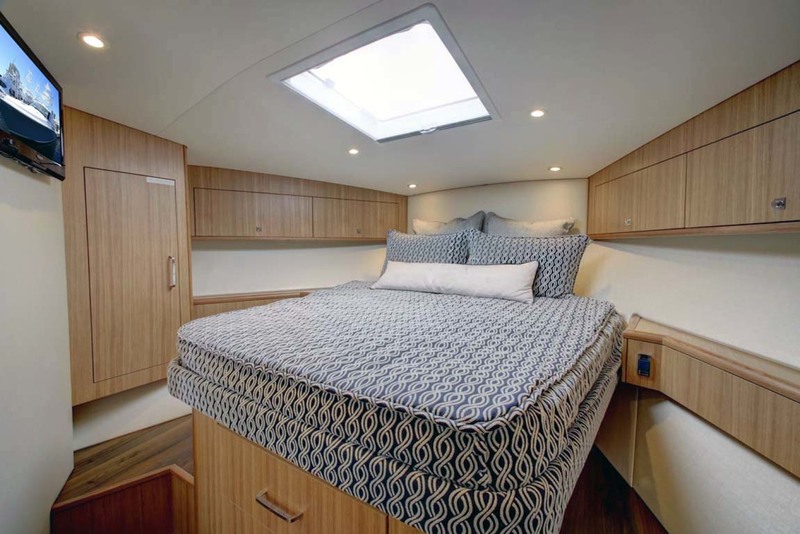 Our optional interior arrangement provides additional overnighting space in a portside guest bunkroom without compromising living space or luxury in the cabin. Meanwhile, the U-Shaped galley configuration offers cooks the working room, storage and quality amenities needed for meals prepared using the two-burner stove and microwave/convection oven. 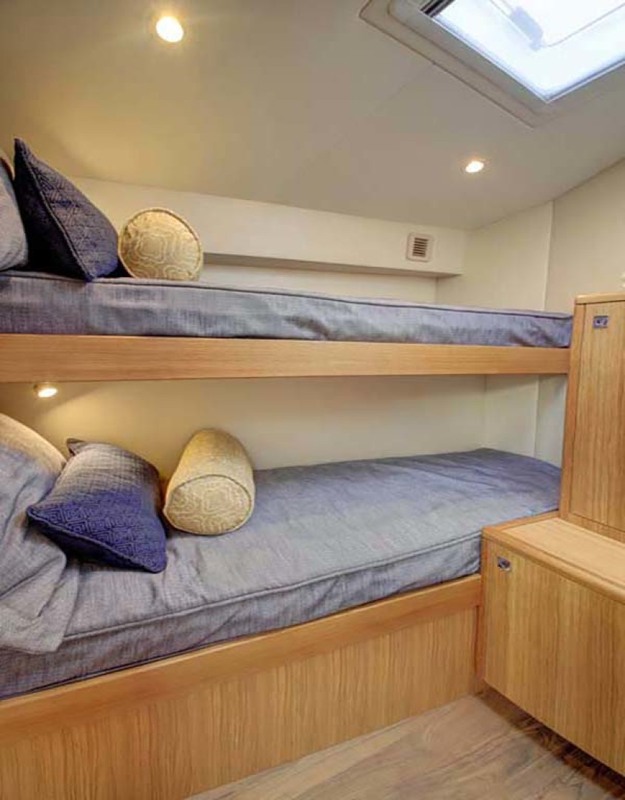 Optional portside bunkroom features over-under berths as well as additional storage and an overhead hatch to provide natural light. Owner comfort is paramount in the forward master stateroom with private head access. 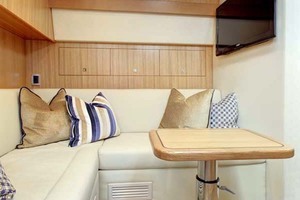 Choose from a selection of interior fabric, finish and accent packages to suit your preferences. 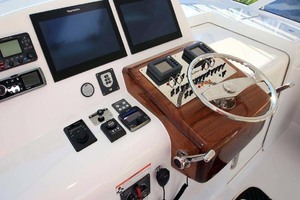 Right is reserved to make changes at any time, without notice, in prices, material, specifications and equipment. 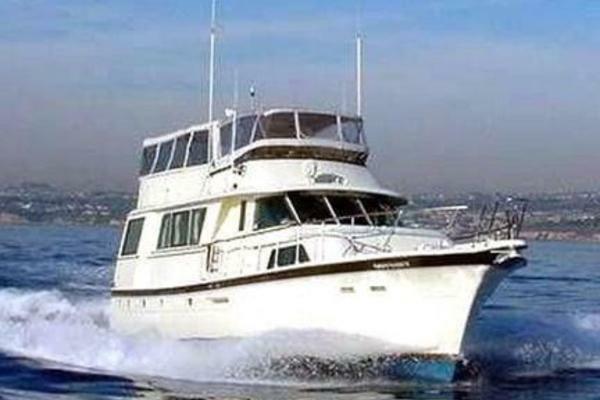 Orders are accepted subject to prices prevailing at time of shipment. 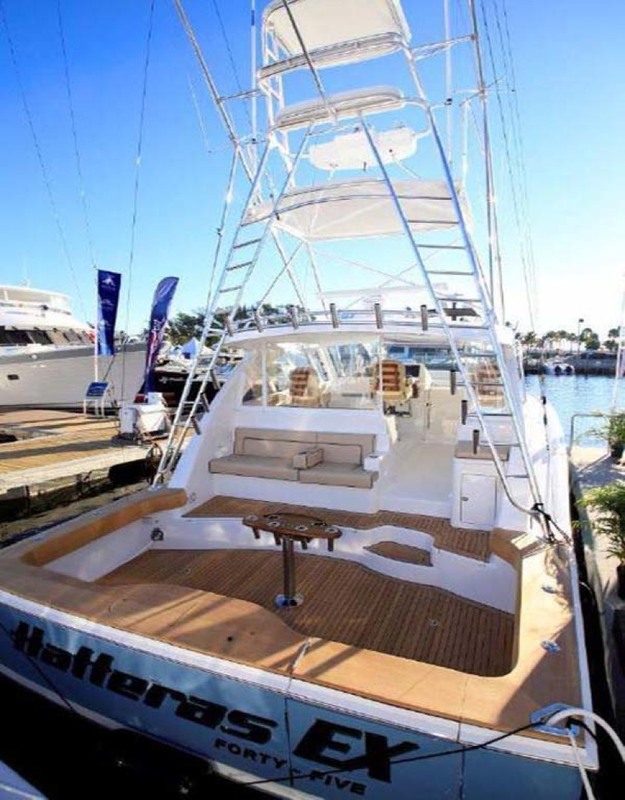 Orders requesting any material and/or equipment which differ from that selected by Hatteras as standard or optional for this model will be considered a custom change and will require additional charges. 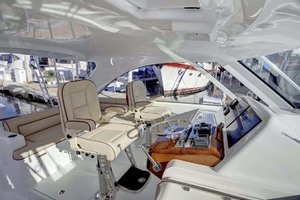 Prices shown for many options may apply only if ordered prior to start of production. Once production begins, orders for such options may require additional charges due to non-standard installation requirements and/or lead times. In order to show equipment size and location, line drawing may include some optional items. Specifications, standard equipment and optional equipment effective with boats sold at January 1, 2015 until December 31, 2015. 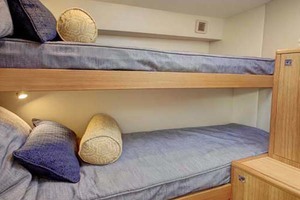 One set of sheets includes: one bottom sheet, one top sheet, pillowcase(s). Length overall does not include the optional swim platform or bow pulpit. 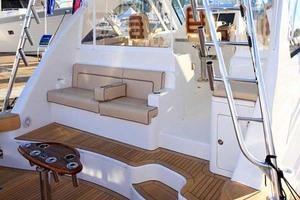 Generator is not intended to supply power for all standard and optional accessories simultaneously. Load must be limited to generator output rating. Option must be ordered prior to start of production. 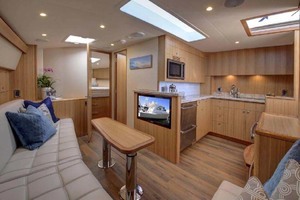 Price shown reflects cost of scheduled installation requirements. A late request for this option will require an additional charge. 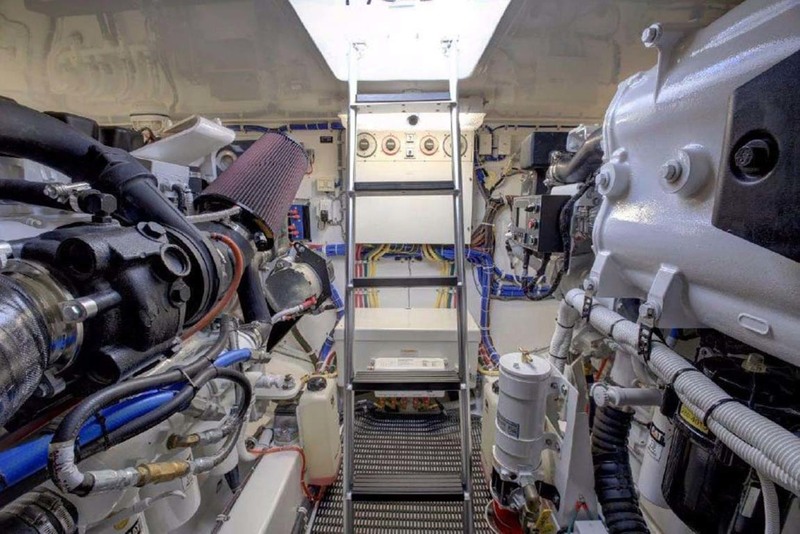 Weight, draft, and freeboard are based on an estimate of model’s displacement with largest engines available and all tanks filled. 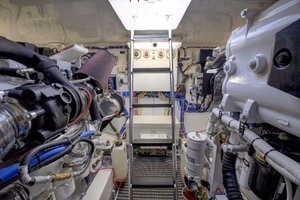 Heights are estimated with largest engines and all tanks empty. 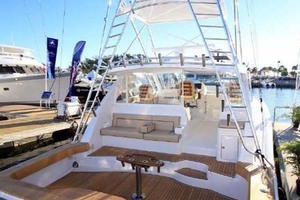 Actual figures will vary depending on production tolerances, equipment, supplies and stores on board, as well as operational and sea conditions. Capacities of tanks are estimated to be total capacity of all tanks normally furnished in this model. Usable capacities will vary depending upon conditions.